When will be Bull next episode air date? Is Bull renewed or cancelled? Where to countdown Bull air dates? Is Bull worth watching? 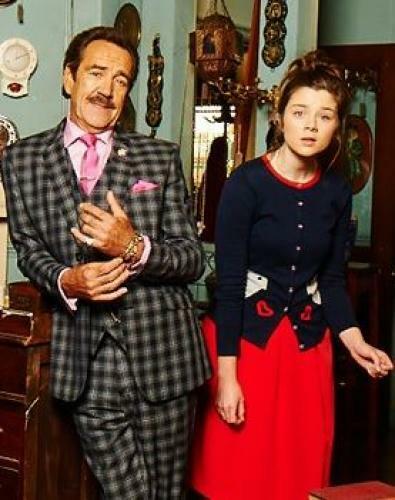 Bull is a brand new comedy with a unique and quirky sense of humour, featuring the eponymous Rupert Bull (Robert Lindsay), a man who attempts to run his antiques shop aided and hampered in equal measure by his team of dysfunctional staff, Beverley (Maureen Lipman), Faye (Claudia Jessie) and Toby (Naz Osmanoglu). Bull next episode air date provides TVMaze for you. EpisoDate.com is your TV show guide to Countdown Bull Episode Air Dates and to stay in touch with Bull next episode Air Date and your others favorite TV Shows. Add the shows you like to a "Watchlist" and let the site take it from there.